We’ve just finished learning about the salmon and the orca whale in our on-going study of animals in The First Nations culture. Our Teacher-Librarian, Mrs. Kennedy, has recently read and discussed some beautiful books with our classes during their Library time. We’ve decided to collect a variety of titles, from First Nation stories to other well loved favourites, and highlight a few of them for you. You might wish to consider them as additions to your own home library. To learn more about the Bear in First Nations Art and Stories, click here. Welcome back to school! How wonderful it has been to teach the children this week, more mature than ever, and watch them quickly settle down to familiar routines like a well-oiled machine. They were very excited to see each other, play together during Centre Time and at recess and get back into their school groove. We had a very fun first day back on Tuesday with a school assembly right after the holidays! We got to see Dreamrider Productions’ presentation of “H2Whoa,” an excellent play about the importance of water conversation, and brought to us by the Municipality of West Vancouver. Our children watched and learned to be a Planet Protector, just like the heroine, Esmeralda Planet Protector, as she foils the (Water) Evaporator. There was a lot of singing, fun and jokes as the children learned about the water cycle; the three main concepts of evaporation, condensation and precipitation; and practical ways to reduce water consumption at home. We’ve wrapped up our Penguin Inquiry this week by reflecting on the penguin life cycle and comparing it to our own human life cycle. Next week we will have a fun Black and White Day to celebrate! Please wear your black and clothes on Monday and feel free to bring your stuffed penguins, or other polar animals to school. We also squeezed in one more post-Easter project, our beautiful patterned eggs done in wax crayon and watercolour resist. 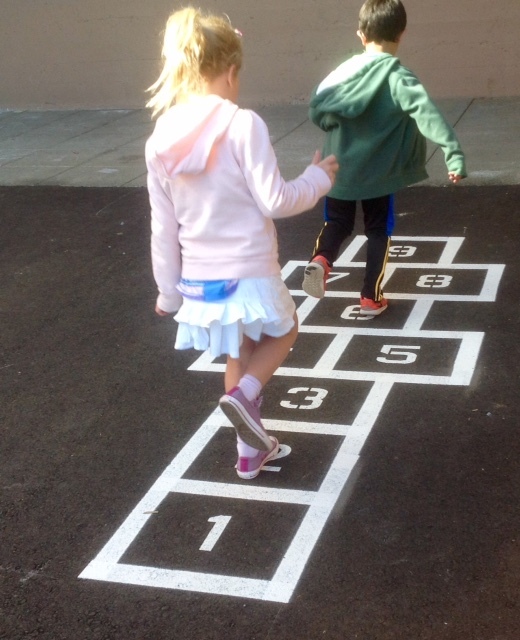 Many of you have probably noticed our beautiful recently paved playground with new painted lines for fun activities like Four Square and hop-scotch. We’re really looking forward to more outdoor play as the weather continues to improve. We start Badminton in PE on April 4. Our classes will be taught Anna Rice, former Olympian and sister to our own Ridgeview teacher, Ms. Rice. We’ve had the good fortune to be instructed by Anna in the past. The children are going to receive excellent instruction and have lots of fun! We will continue to have high expectations for student safety, listening and participation so that all students can learn. Children must wear running shoes for PE days for the next two weeks. Wednesday, April 6, has been scheduled as the Vancouver Coastal Health finish-up day for those students who were absent, or did not have their screeners completed for Kindergarten vision, hearing and dental check. We’re still collecting Tombola Goodie Bags for Mayfair, which takes place on Saturday, May 7 from 11 am-3 pm. This is definitely the hottest ticket in town and we encourage all of our families to come out and support our school. It’s really fun and the children will have a fantastic time. Our organizers will be looking for donations for the booths soon, and we will you updated. One of things you quickly learn as a classroom teacher is that there is never enough time to teach everything you want, and have to, cover every year. In addition to the mandated curriculum, there’s also the holidays (for us, an essential part of Kindergarten, and it also ties in with Social Studies) and just the curious and interesting things that you want to do with your class because of your personal interests, ideas you learn about from other teachers or activities you think your class will just enjoy and have fun doing. Therefore, the process of integration, combining two or more subject areas, comes into play. We integrate a lot, because it’s the only way we can fit in everything we have to do, and want to do, with our Kinders. So here’s what’s going on with us this year. In the new Kindergarten Social Studies curriculum, Aboriginal Education and learning about the First Peoples’ culture, will be an integral part of our teaching and learning. We wanted to focus on the symbolic meaning of specific animals according to the First Nations. We were thinking about the salmon, bear and eagle as our starting point as they are familiar animals here on the Westcoast. The animals are a topic the Kindergarten children will be interested in, understand and make a connection with in their own lives. 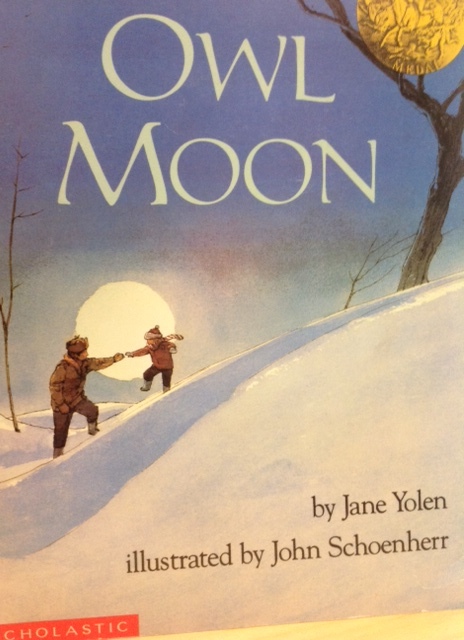 At the same time, we are beginning our study of local animals in the Natural World (Science), and we have taught within the theme of Bears because not only are bears local and relevant to our area, but we can tie in a literature focus on well-known Bears in stories, such as “The Three Bears” and Corduroy by Don Freeman. This also allows us to have a discussion on the differences between fiction and non-fiction stories. In order to fit everything in, we’re going to have to integrate Reading, Language and Literacy (stories and literary activities on the bear theme), Community (Social Studies) (the bear, and we will extend to include other animals and their symbolic meaning in First Nations teaching), The Natural World (Science) (bear behaviour) and Art activities. Children’s literature is of primary importance to us and so we always like to begin with a good book. As Kindergarten teachers, we need to revisit the classic children’s stories with our students through the Primary years to build a broad knowledge base of literature. We make constant references and cross-references to Fairy Tales, Nursery Rhymes, and other well known books, in our everyday discussions. We discussed schema theory in a recent post, and the importance of building a common understanding when developing a new topic or idea. 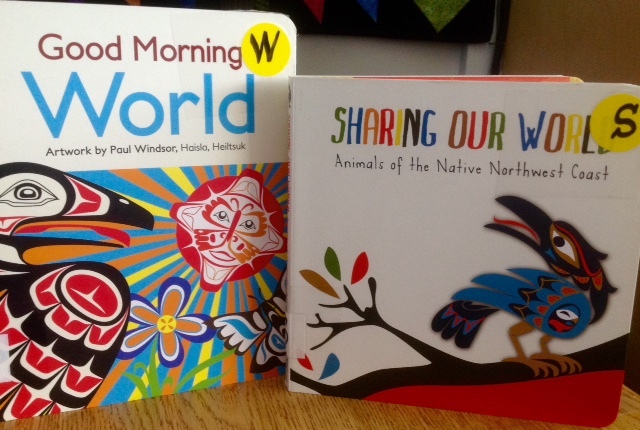 We asked our teacher-librarian, Mrs. Kennedy, to help us with the Aboriginal Education resources, and other Bear books, and she had some wonderful treasures waiting for our classes during Library this week! 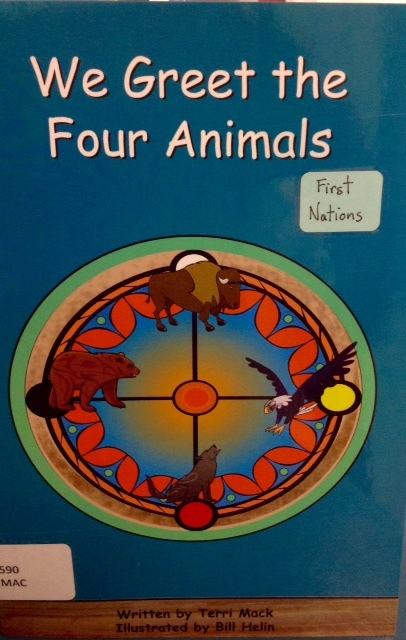 We Greet the Four Animals (Terry Mack and Bill Helin) This book describe the four animals, Eagle, Wolf, Bear and Buffalo, and the gifts or teachings that are offered to us. The children look to the East to thank the Eagle for the teachings of truth or honesty; when they face the South, they greet the Wolf and are thankful for the gifts of being brave and having courage. The children look to the West to thank the bear who Bear teaches about love; and they face the North to thank for the Buffalo for the gift of being able to listen to others. 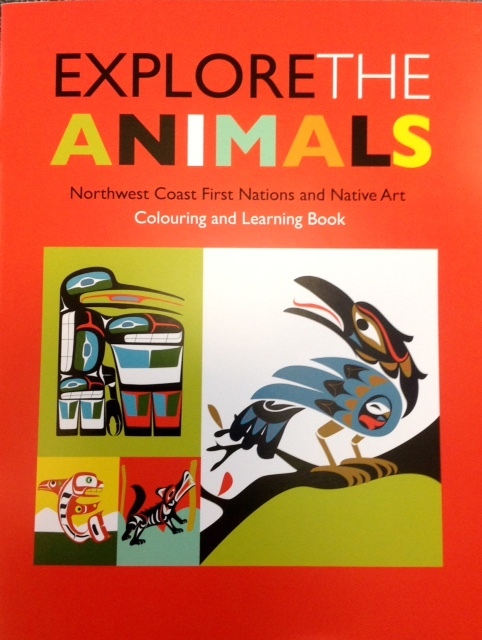 Explore the Animals: Northwest Coast First Nations and Native Art. This book has beautiful black and white drawings for the children to colour and a brief explanation of the animals. 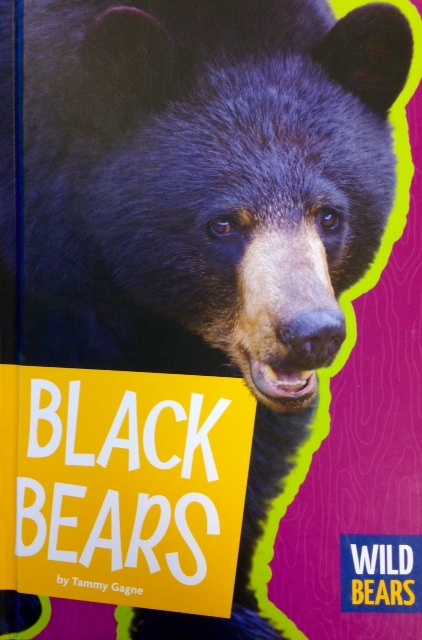 Black Bears (Tammy Gagne) In keeping with learning about many types of bears, our children began with this book. As the children are learning about the First Nation’s people, they are learning about the similarities and differences between our cultures. In this way, they can develop an appreciation of themselves and others as individuals, but also how we all work and live together in the broader community. We’re delighted to be back at school, with all of our Kindergarten children who have grown so tall since the holiday and who are maturing so beautifully… Grade One’s in training, that’s who they are now! We see all the benefits of our collective hard work in our classrooms, teachers, parents and children working together, and we look forward to an exciting third term with our little people. We also wanted to say “Hi!” (we’re waving and smiling at you!) to all the UBC Teacher Candidates who followed us on twitter (@selfregteacher) over the Spring Break. Welcome to The Self-Regulated Teacher and our Kindergarten classrooms! Spring is in the Air in the Kindergarten! We’re enjoying the warm weather, playing outside without our coats at recess and knowing that Easter celebrations are around the corner. 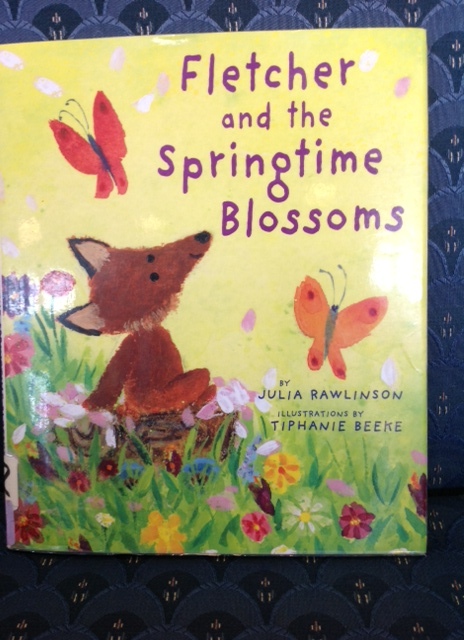 Mrs. Kennedy, our Teacher-Librarian, kicked off Spring activities by reading, Fletcher and the Springtime Blossoms, by Julia Rawlinson, to our classes this week. This is the third Fletcher story we’ve read this year. We love this adorable little fox! 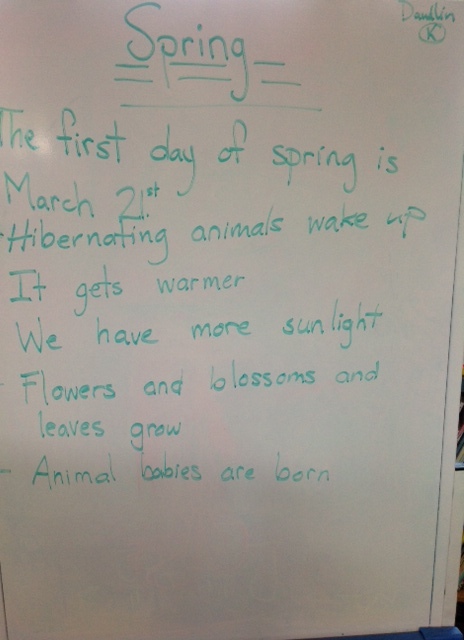 The children shared what they know about Spring, and this provides us an excellent starting point for us to talk about the seasonal changes from Winter to Spring next week. 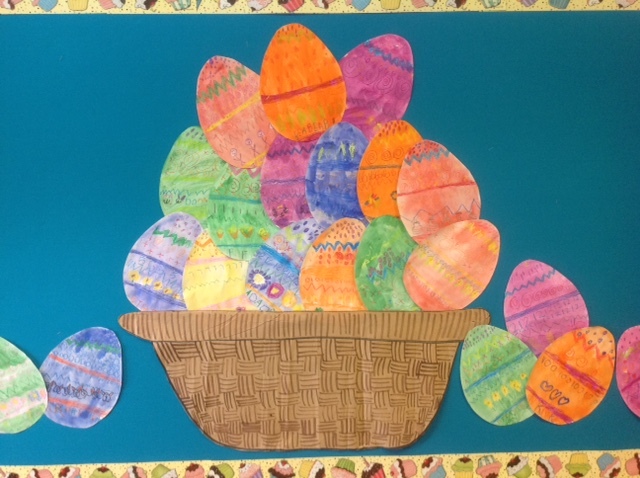 Before the Spring Break, we got a little head start on a gorgeous Spring art project. We just hung them up this week. 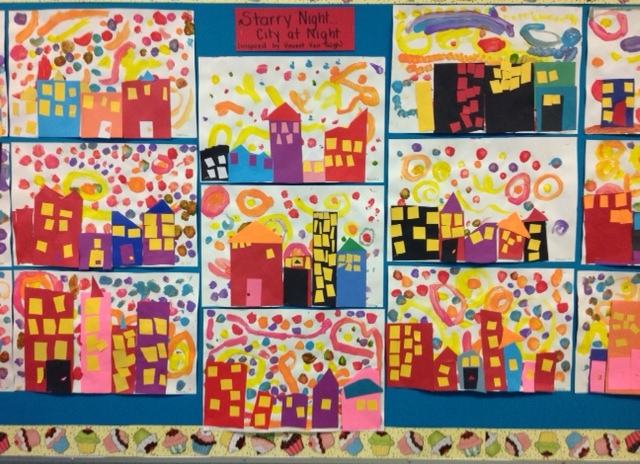 We call our paintings “Starry Night…City at Night,” as these were inspired by Vincent Van Gogh’s “The Starry Night.” But look at the beautiful Spring colours we used for our whirls and swirls background! We have to credit Patty Palmer at Deep Space Sparkle, for another fabulous Kindergarten art idea! Thank you, Patty! 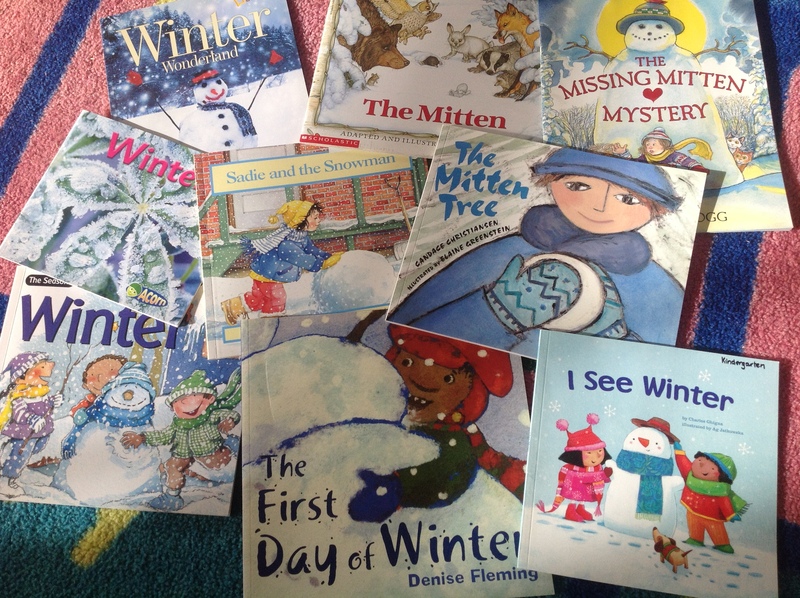 For this week’s book post, we thought we’d share with you some of the beautiful artwork our classes are creating based on two amazing books we read in class on the theme of Winter. You’ll recognize these titles from our post Time to Cosy Up with a Good Winter Book. 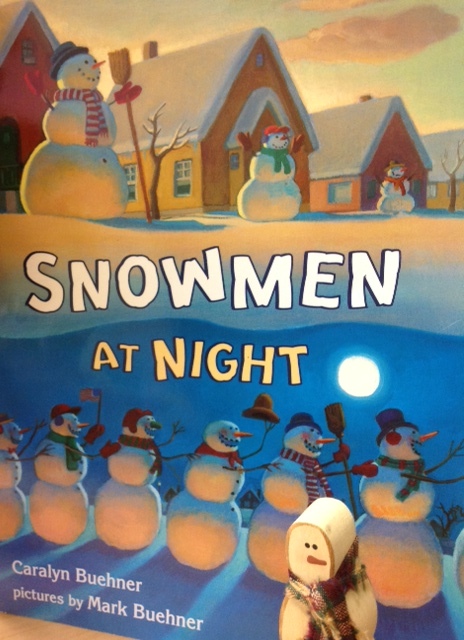 Snowmen at Night by Caralyn Buehner, illustrated by Mark Buehner. 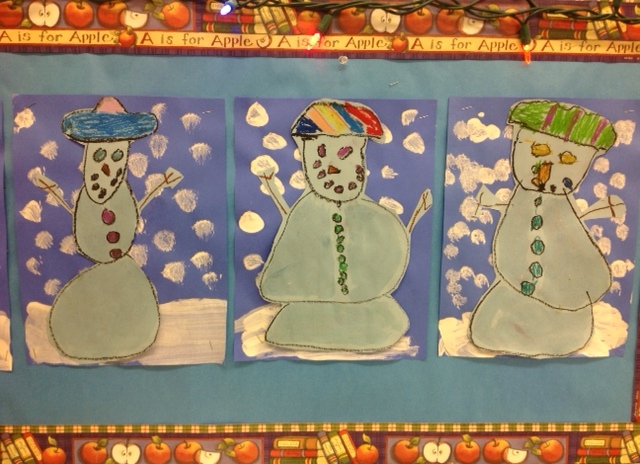 To create these adorable snowmen pictures, we had our first foray into the world of oil pastels. Pastels are a great art tool for our Kindergarten children. Because the pastels are softer than crayons, the children do not need to press as hard but they still get the vibrant colour when drawing and colouring. First, we drew our snowmen and added the details. Then we used Sparkle Mod Podge to give the snowmen a nighttime sparkle effect. For the backgrounds, we painted white “snow” using blue, rather than black, paper for a more luminous look. The children cut out their snowmen before carefully gluing them to the painted backgrounds. This idea is from our favourite Art website, Deep Space Sparkle. We love big art projects, and this one takes several art classes to complete. It’s important for the children to understand that many great things are completed slowly, over time. By undertaking a multi-step project like this, we can help the children to develop patience and an appreciation of the process involved in creating something special. The children selected magenta or turquoise to paint their background for the first art session. 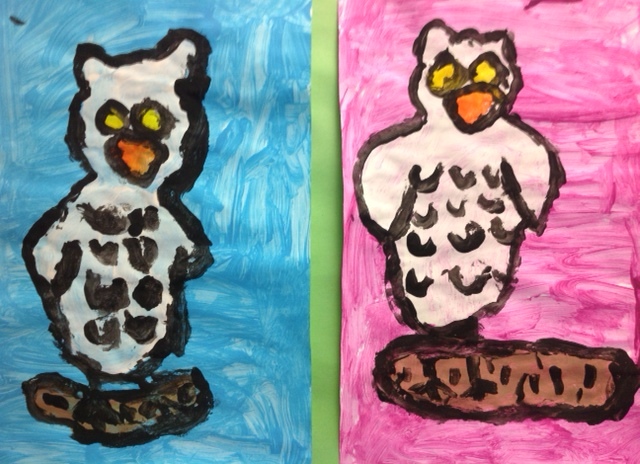 Then, after the paint had dried, the children followed our step-by-step instructions to paint the owl in white. For our third class, we painted in the details. Again, this art idea is from Deep Space Sparkle. We have to admit, painting with 21 students on a big scale like this still makes us nervous. But the Kindergarten always takes everything in stride and as usual, they were fabulous in managing their paintbrushes, the multiple paint colours and the oversized paper on small tables. We didn’t spill a drop of paint on the floor and carpets, and our clothing only suffered minimal damage. 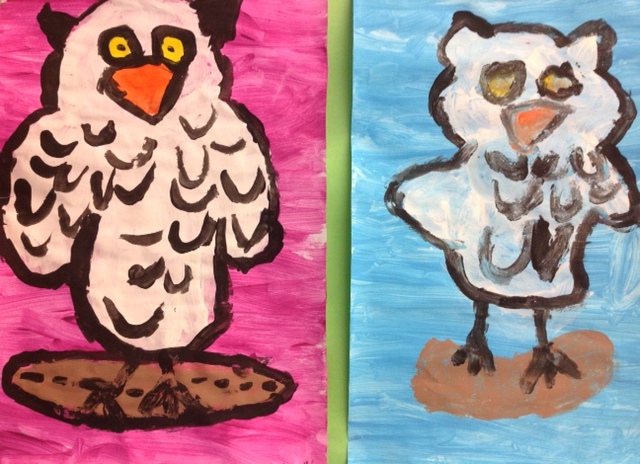 Is there anything cuter than these painted owls? Of course!…… Our Kindergarten children. They are definitely the cutest! Two of the “Big Ideas” in the Kindergarten Social Studies Curriculum are understanding our own personal identity to appreciate how others perceive their identities; and that individuals and families need to make choices about their needs and wants based on their limited resources. 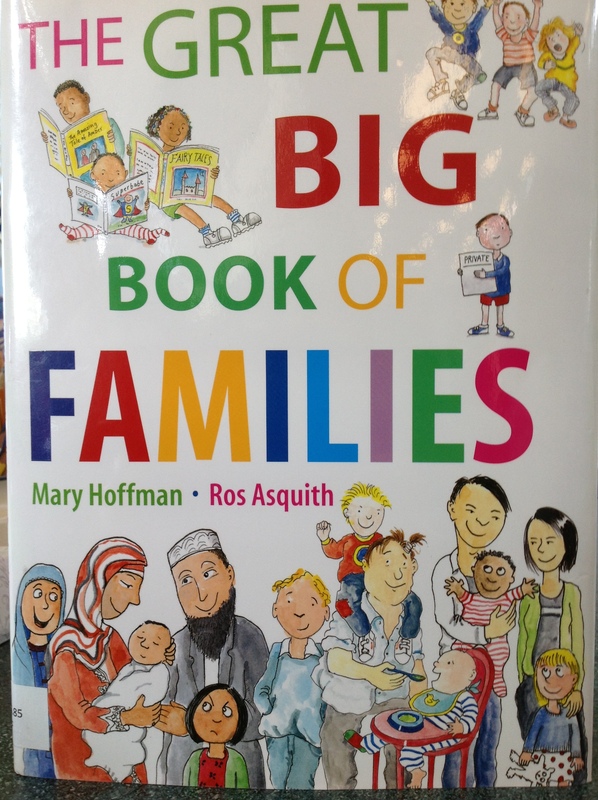 Then, Mrs. Kennedy began reading aloud from the outstanding book, Families, by Mary Hoffman and Ros Asquith. 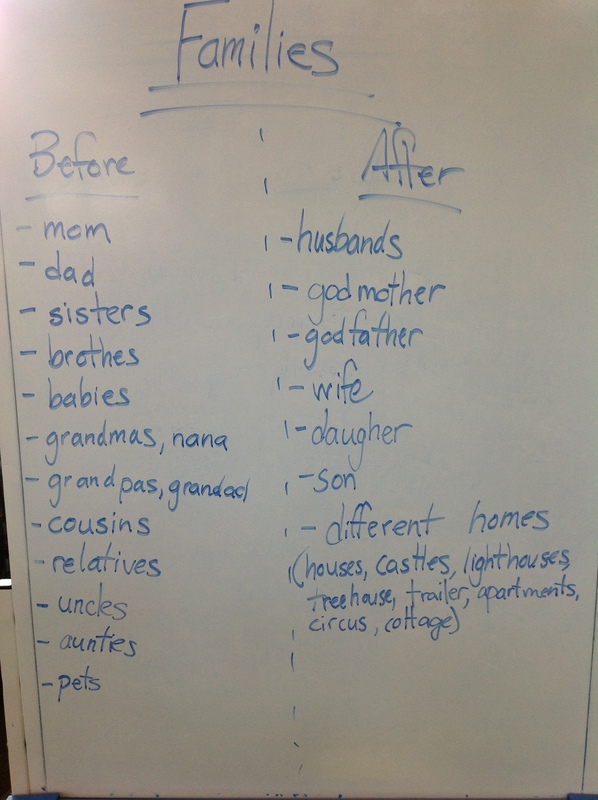 The additions to the children’s understanding of family shows the new vocabulary they learned, and how family members can have more than one role, depending upon one’s perspective. Our Sharing Theme in class this month has been on Family. The children have been sharing a family photo with the class and highlighting three activities their families enjoy doing together. We have created a “Family” photo wall in our classrooms. This ties in nicely with the theme they will now be focussing on during their weekly library visits. We had such an awesome response to our Christmas book list that we thought we would write up another one for you. We’ve been learning about the seasons and seasonal changes in Kindergarten, and of course we’re focusing on Winter right now. We’ve made some amazing art projects, we’re starting to use frame sentences and next month we start ice-skating as part of our school’s Winter sports program. But we think the best part of Winter is the chance to cosy up with a good book! We love bringing our classes together at the meeting area and inviting the children to sit closely together to listen to a great story. Here are the books we’ve read recently to our classes. Here’s hoping you find time to read some good books yourself! 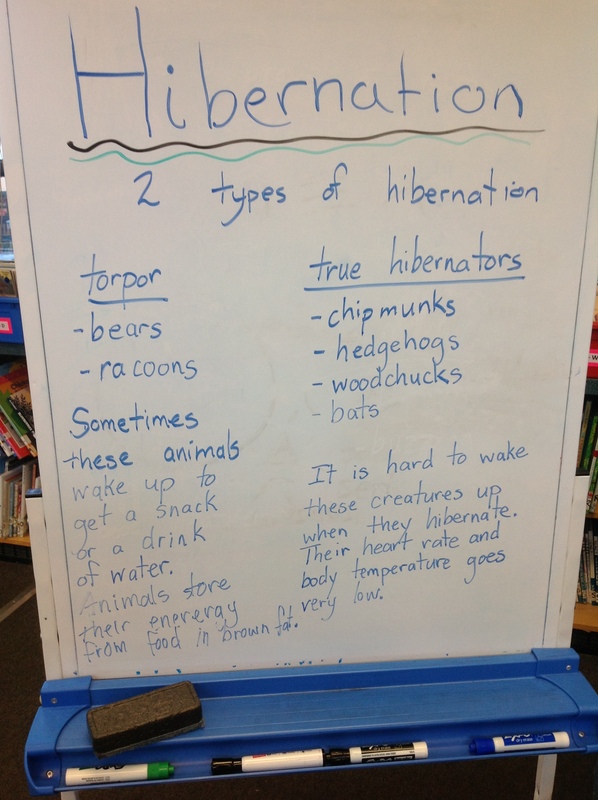 We are continuing our study of Hibernation during Library Time. 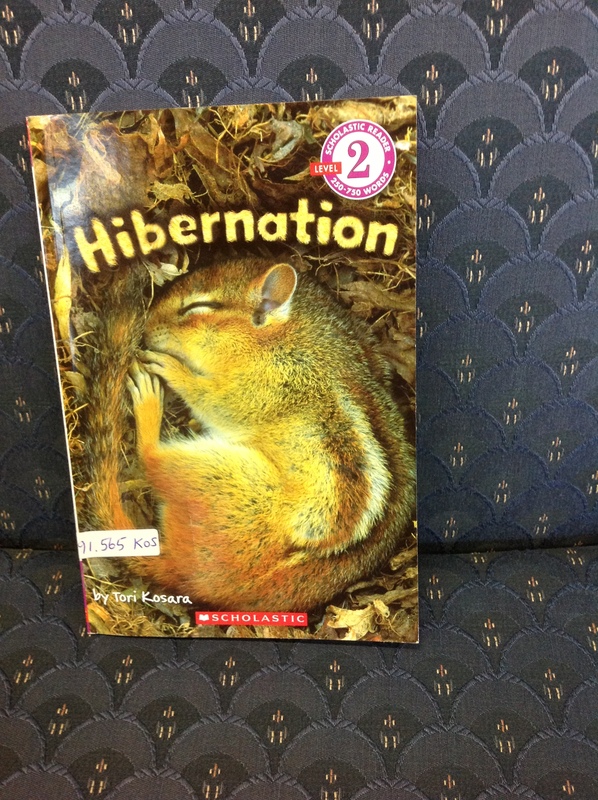 Today the children listened to Hibernation by Tori Kosara. A new understanding for them is that there are actually two kinds of hibernation. Torpor is a type of hibernation where the animals do not sleep all through the winter. Raccoons and bears are familiar examples as the children knew that these larger animals often wake up and are looking for something to eat. Hibernation, in its truest sense, is what animals such as chipmunks, hedgehogs and woodchucks do: they sleep all through the winter. 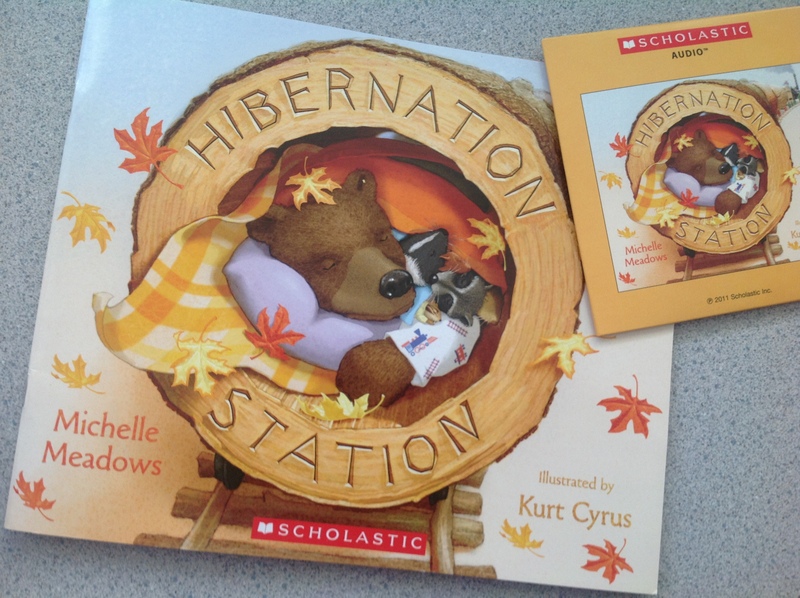 A wonderful fiction book that incorporates the elements of non-fiction is Hibernation Station by Michelle Meadows and illustrated by Kurt Cyrus. We have this set as a listening centre with a CD in our classrooms and it is fabulous. The background music and sounds are really fun. This book would make an interesting comparison with the non-fiction books the children have been reading.